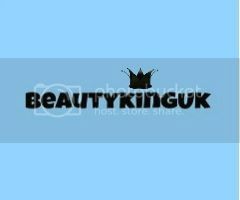 Beautykinguk: I got the Liebster Award! 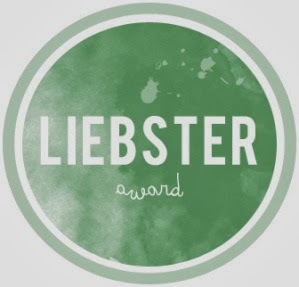 For those of you that don't know, the Liebster Award is a way of promoting fellow bloggers with less than 200 followers and helping them to gain a little more exposure. I was lucky enough to be nominated for this by Elena from Bella Vita, so thank you so much. If you are nominated you have to answer 11 questions that have been set by the nominator (is that the right way to say it..? ), and then create 11 more questions for 9 other bloggers that you choose. So without further ado..
What is your one holy grail beauty product? Out of all the places you have visited, which is your favourite? If you could, what one piece of clothing would you ban forever? What/who inspired you to start your blog? If you could meet one celebrity/famous personality - who would it be and why? I have written for review sites on and off for a number of years but found the experience rather frustrating to the point that I stopped. I have some quite strong views on the products that I use myself and feel that with the advent and evolution of social media by blogging I’ll be able to reach a wider audience, exchange views with other like-minded people and hopefully use the blog to engage on a wider range of issues with people from across the globe. I couldn’t live without my Bvlgari Pour Homme aftershave – it’s the one product that I HAVE to have in my collection. No other aftershave comes close to how refreshing it is, and how good it smells when I’m wearing it. I’m petrified of needles – which is bizarre given I have a large tattoo on my upper arm, but I genuinely fear to the point of passing out having to have a blood test or injection. A cat – I’d get to sleep for 16 hours a day, eat on demand and be tickled. My three favourite things! Not keen on being neutered, but I’m prepared to take the rough with the smooth. Las Vegas – I got married there and have spent holidays there sunning myself, eating, drinking and enjoying the American way of life. It really is an adults playground with everything for everyone. L’Oreal – their Men Expert range is fantastic and really delivers results. Leggings – they look good on some people, but they should come with a warning to the wearer. Something along the lines of “these leggings will make your behind look bigger than it actually is”. Sunning myself somewhere exotic after a stunning lottery win! Probably somewhere nice and quiet, hopefully still doing the same line of work but with less stress. My better half – she had been blogging for a while and hadn’t mentioned it to me. When I finally read her posts it looked like a fun thing to do and the rest is as they say history. Simon Cowell, is there anything this man cannot do? He is rich, successful, has amazing business acumen and everything he does is seemingly timed to absolute perfection! Don’t smoke – it really does screw up your skin! If you could recommend one blog for me to read, which would it be and why? Thank you again to Elena for nominating me, and I look forward to reading the answers from the bloggers that I have nominated! Congrats on being awarded the Liebster Award! Simon likes the L'Oreal Men Expert skin range too!